No. Local hosts are not tour guides and Chumaround does not offer tour guide services or pre-packaged itineraries. 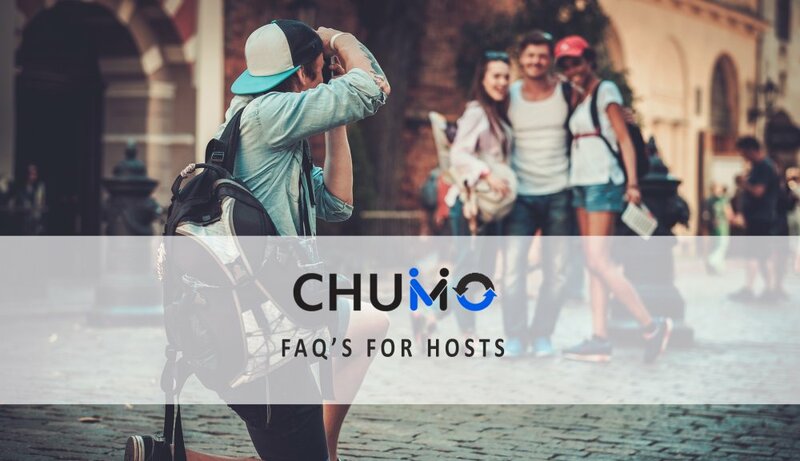 Local hosts are people that simply hang out and have fun experiencing cities with like minded people they connect with on the Chumaround platform. They offer practical advice or share their personal experiences about ‘best bars and restaurants’, ‘non-touristy spots’, ‘shopping areas’ etc. You don’t have to be an expert to hang out and have fun with people that visit your city. All you need is a vibrant personality, intimate knowledge of your city and a passion for meeting people and having fun. 1. Select Become a Host and create your listing. 2. Once you create your host page, click My Listings. 3. Find your new listing and select the Manage icon for that listing. 4. Click the Payment Settings tab. 5. Connect Your Stripe account and Click Save. *It’s important to note that you can use one Chumaround account to create multiple listings if you want to be a host in more than one city. For each new listing that you create you MUST connect your Stripe account. If you do not connect Stripe, you can accept cash payments at the time of your meeting. 3 days before – If a guest cancels before the 72 hour cancellation deadline, you are required to refund 100% of your booking fee. Yes you can! Tipping is never mandatory, but if you provided an amazing experience for your guest and he/she wants to show you their gratitude by offering you a tip, then we encourage it.